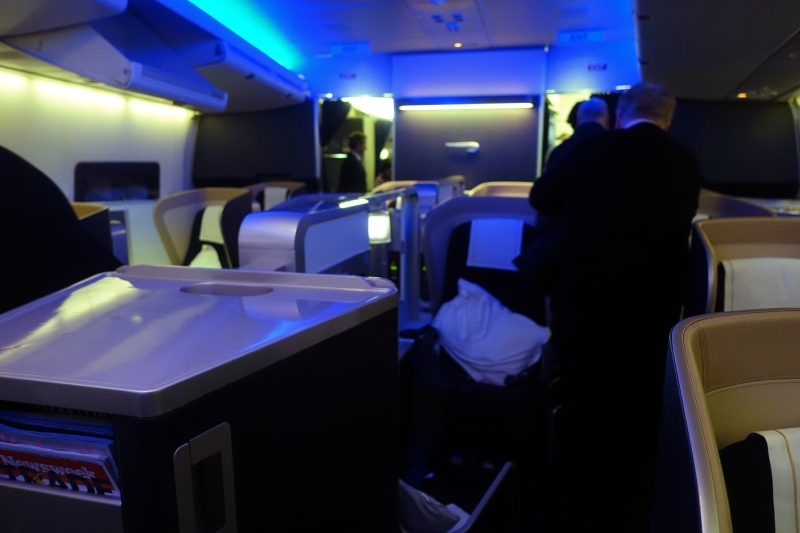 This British Airways First Class 747 Review is one of my several reviews of British Airways First Class; see all posts tagged British Airways, or for other airline first class and business class reviews, see my Airline Reviews. 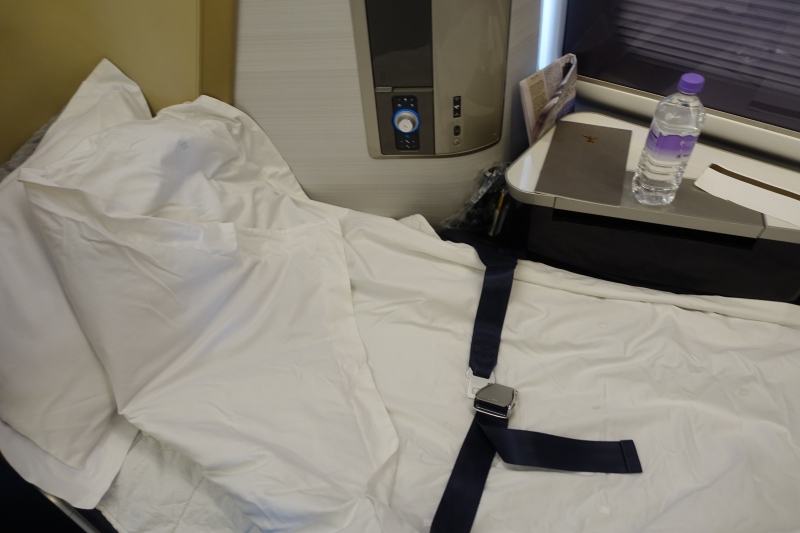 Since I recently reviewed British Airways First Class 747 from New York JFK to London LHR, please see that review for my thoughts on the first class cabin, seat selection, first class seat, first class pajamas, and amenity kit. This review will focus on the rest of my in-flight experience, including service, food and dining, and sleep quality. Unfortunately, unlike Etihad and Emirates, which offer boarding from their lounges at their hubs in Abu Dhabi and Dubai respectively, and even from some of their other lounges, such as the Emirates Lounge at New York JFK and the Etihad Lounge at Washington Dulles, British Airways does not offer boarding from the Concorde Room lounge or its other lounges. And since boarding is not announced, be sure to allow enough time to get to your gate. Since I was working and didn't get to the gate when first class boarding was first announced, by the time I got there it was general boarding. And while I was able to have my ticket inspected quite quickly, there was quite a long queue to board the aircraft itself. Once I got to the entrance, I was greeted and one of the crew ushered me to my seat 2A. 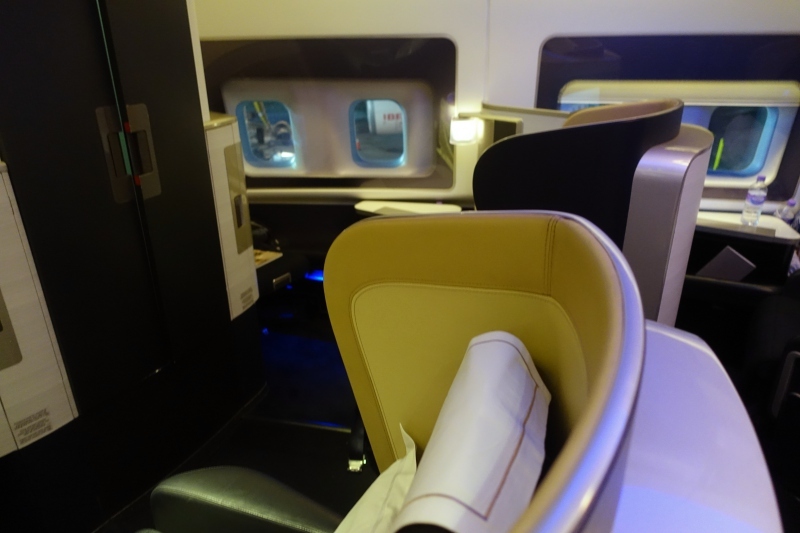 As I mentioned in my prior review, I prefer seats 2A and 2K for their relative privacy, unless you're a British Airways Executive Club elite and can pre-book seat 1A or 1K–typically those seats are blocked and can't be selected online. Something to be aware of, if you're traveling only with carry-on luggage, is that nothing can be stowed under the ottoman seats during take-off and landing; everything must go into the overhead lockers, coat closet (which is very narrow and really only accommodates coats) or the closet at the front of the cabin, between seats 1A and 1K. Fortunately a friendly cabin attendant promised to store my box of Pierre Herme macarons that I'd gotten my family in a crew closet, after everything else was loaded in, so that they wouldn't be crushed. 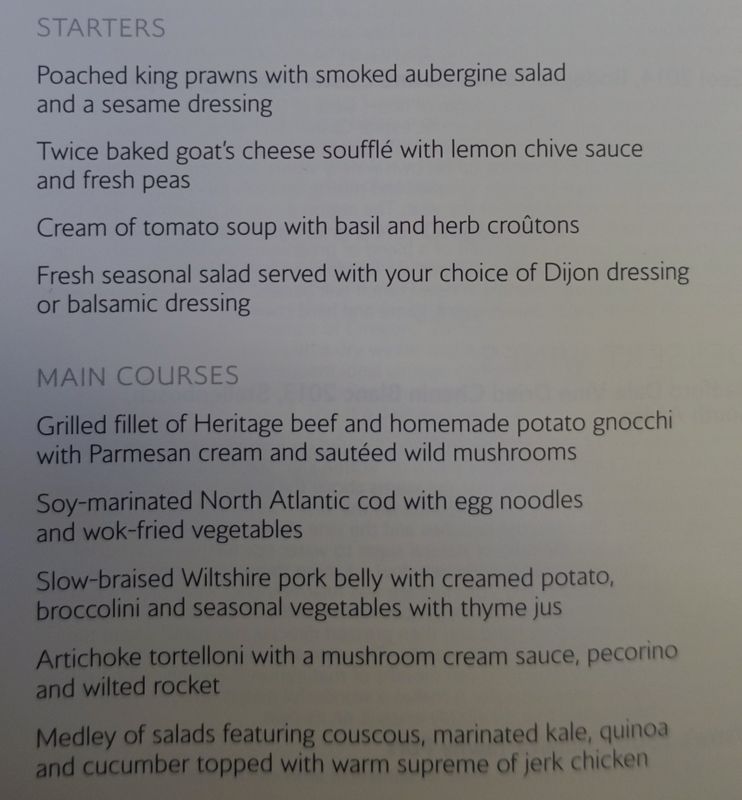 My flight departed London in the early afternoon, so the main meal served was lunch. Here's the lunch menu and dessert menu. 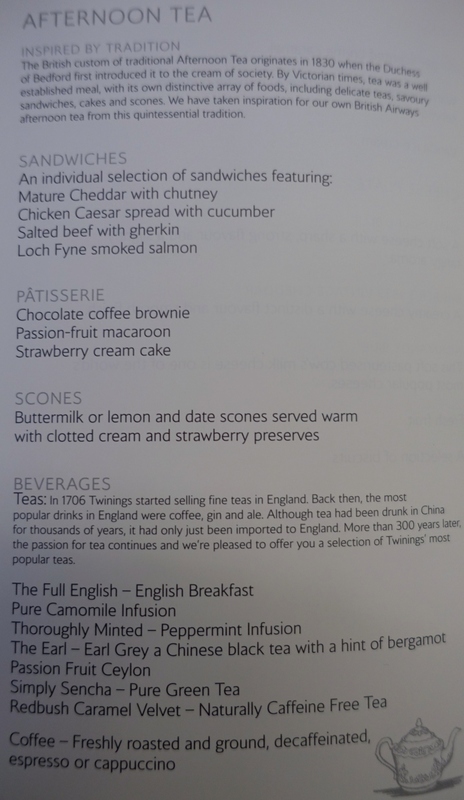 There was also an Afternoon Tea menu, although I skipped this service since my goal was to catch up on some sleep after an intense week at ILTM Cannes. There's no welcome aboard bite as there is in Qantas First Class, as there used to be (it's since been discontinued) in Cathay Pacific First Class, or even nuts as there are in Lufthansa First Class. 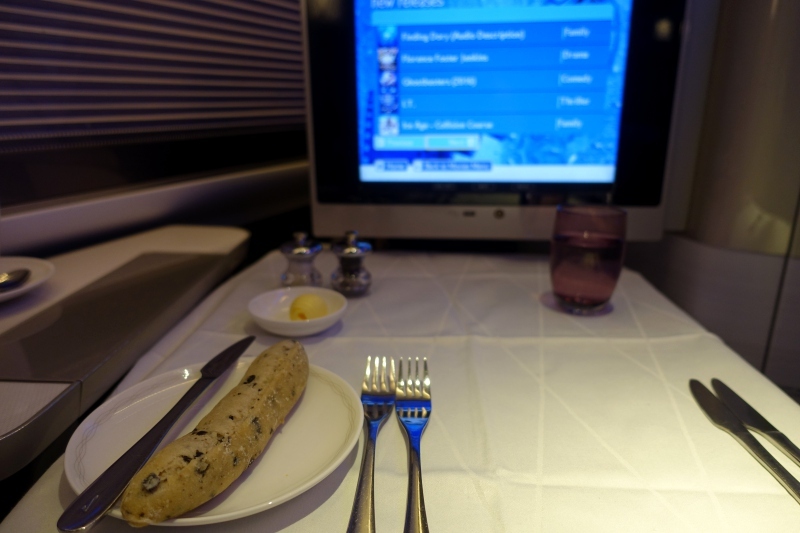 Nor was there a snack or amuse bouche of any kind prior to the meal, as in Etihad First Class Apartment, or the satay with peanut sauce that is traditional in Singapore Suites or Singapore First Class. 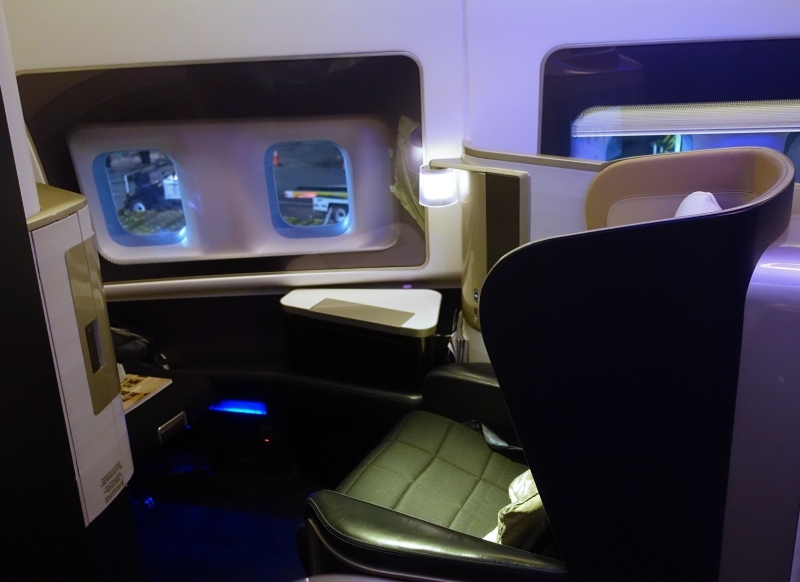 Coupled with the very narrow footprint of First Class seats, that makes British Airways First Class feel more like Business Class on some other airlines. I chose the Twice Baked Goat Cheese Souffle with Lemon Thyme Sauce as my appetizer. The souffle itself, along with the olive bread, were the highlights of my meal, with great goat cheese flavor. 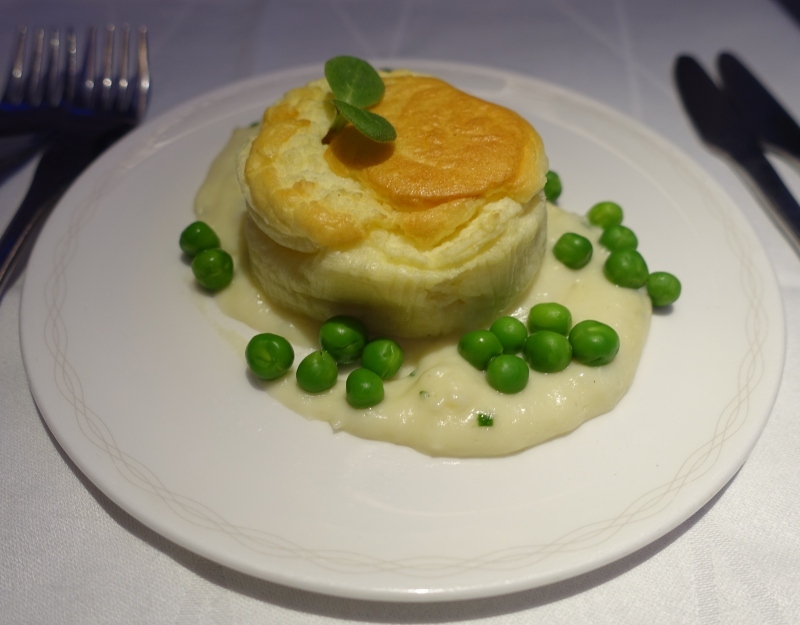 The lemon thyme sauce with peas, unfortunately, was what you might expect at a cafeteria, somewhat congealed and seemingly thickened with too much cornstarch or other thickener, and with a dearth of thyme flavor. 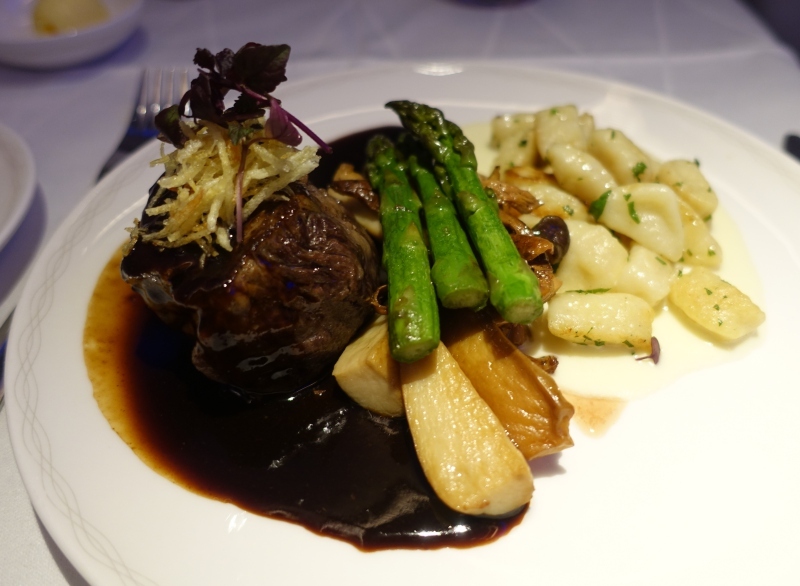 The Grilled Fillet of Heritage Beef was a bit tough, although I enjoyed the potato gnocchi, asparagus and wild mushrooms…until, that is, I discovered a hair in the food. 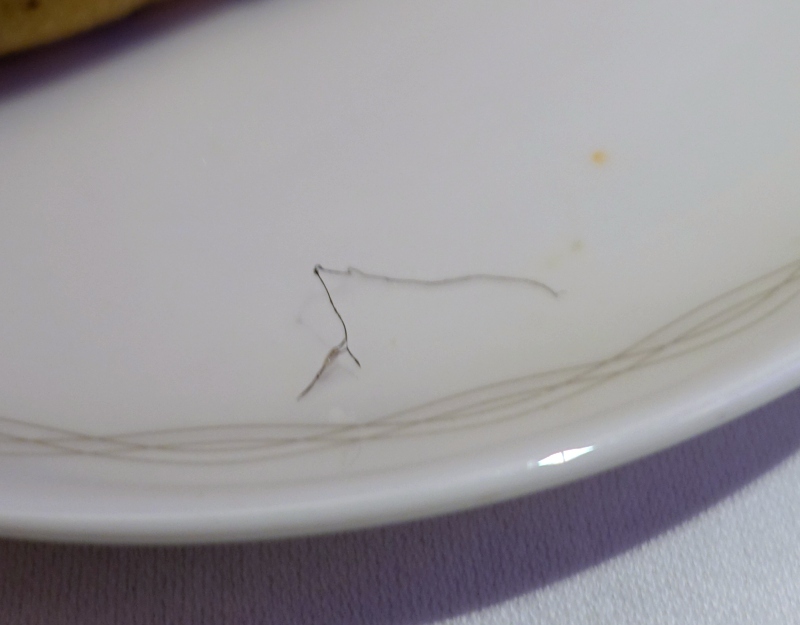 I put the hair on my bread plate, since it's impossible to discern in the first photo of the dish itself. That put me off finishing the main course, so I ordered dessert instead. 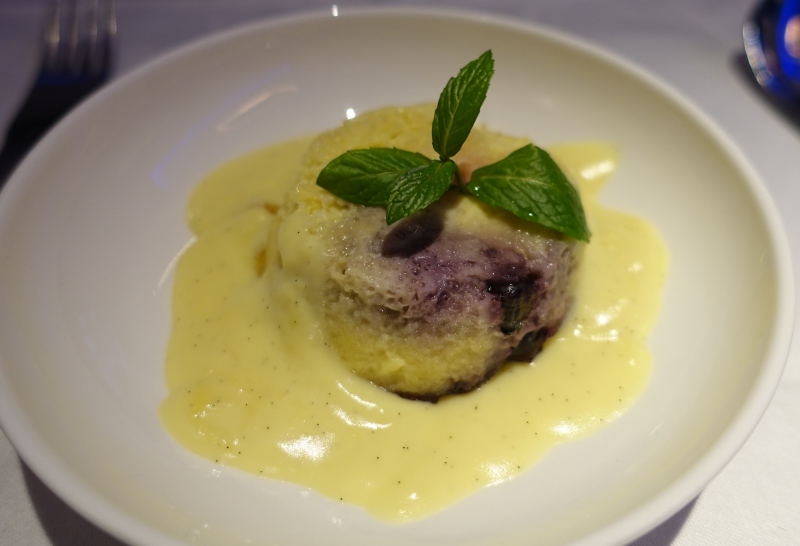 A few years back, desserts were the absolute highlight of my British Airways First Class flights–creative and delicious. Not so much now. The choices of Ginger Scented Creme Caramel, Mixed Berry Brioche Pudding and Vanilla Ice Cream weren't terribly inspiring, with the berry brioche pudding sounding like the best of the three, so that was my choice. It was fine (and I didn't find any hairs in it) but nothing exciting, and I've had far better bread puddings in moderately priced restaurants. 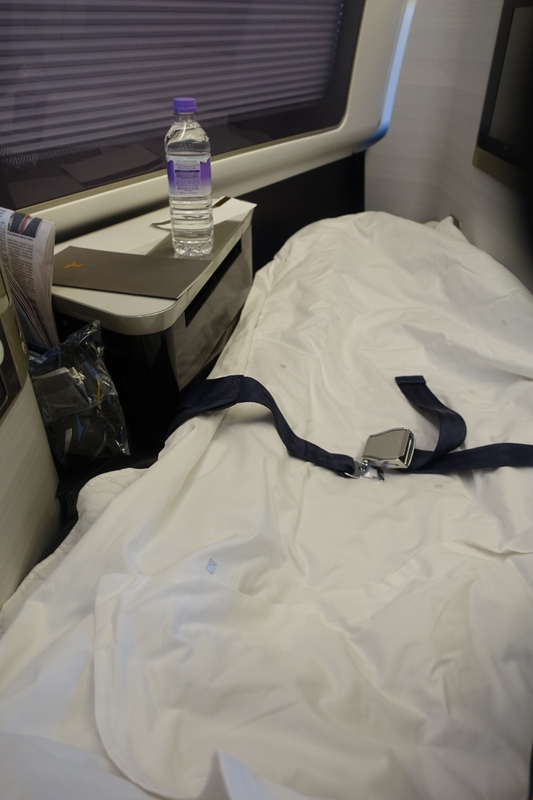 As with my flight over from NYC to London, the crew was very prompt at providing turn down service when I requested it. By the time I'd changed into pajamas and brushed teeth, my bed was already made up, which I appreciated. With the help of a sleep aid I got a good 2-3 hours of sleep, which was just what I needed while still enabling me to get back on schedule that evening in NYC. 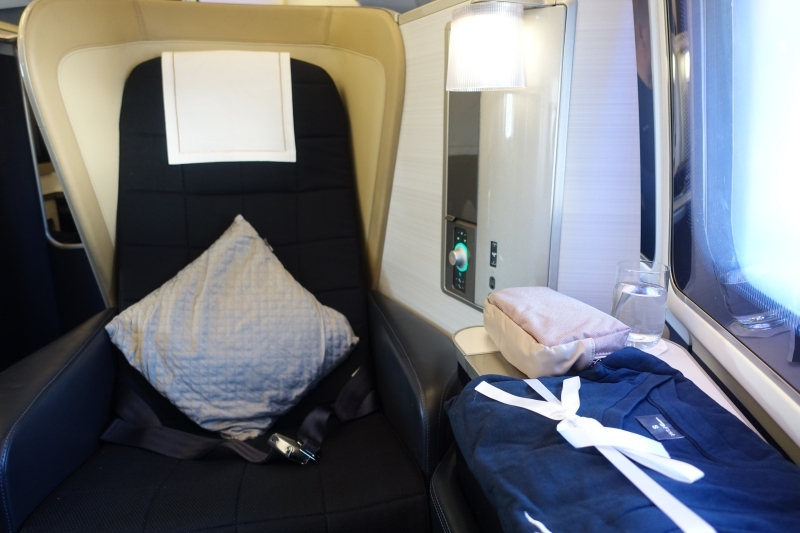 Lowered expectations are key to enjoying British Airways First Class, since if you've flown almost any major Asian airline's first class and come in expecting a similar product and service level, you're almost guaranteed to be disappointed. 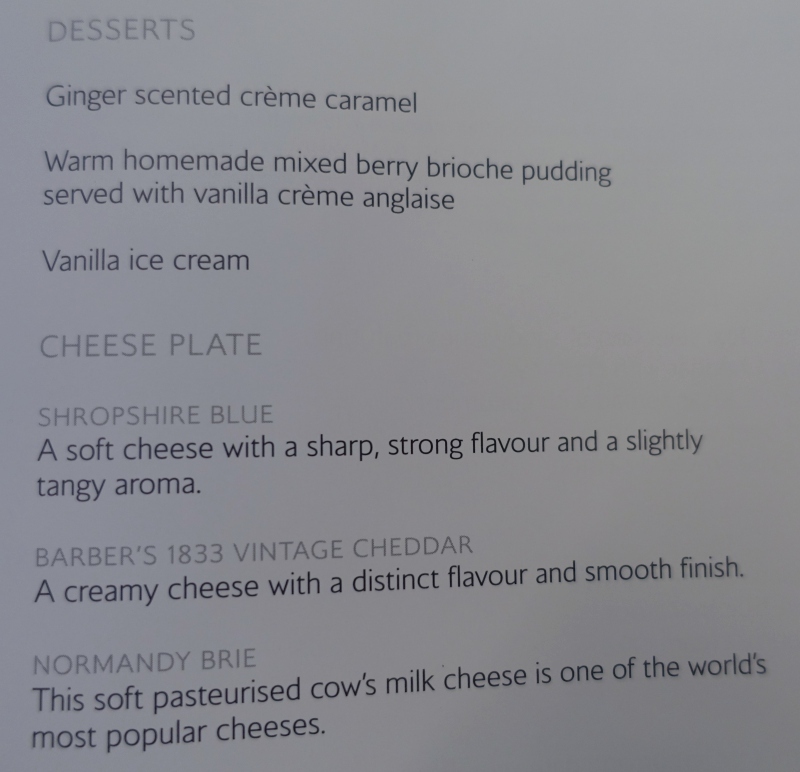 Having flown it before, I knew what to expect in terms of the seat and first class cabin, although even so I was disappointed to find a hair in my food and that even the quality of the desserts (which, let's face it, are fairly cheap to make in terms of the cost of ingredients) had seriously diminished. 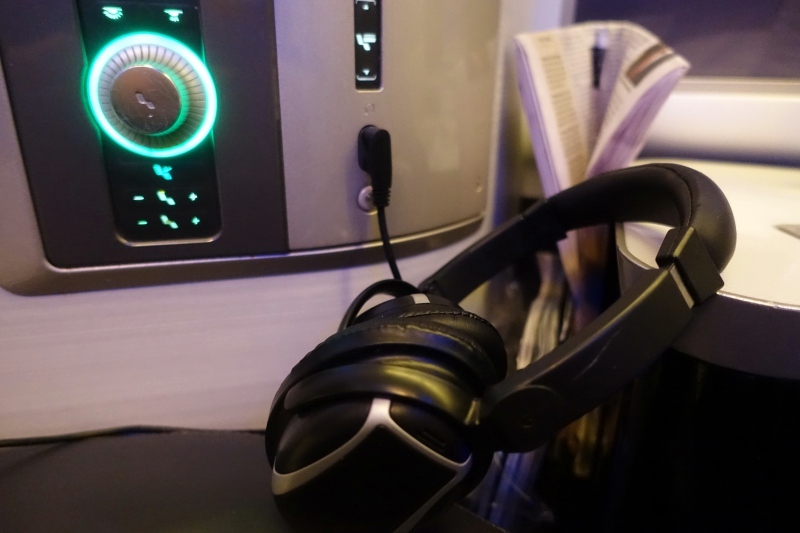 I did feel that the crew on this flight was friendlier and more helpful than on my prior flight, and crew consistency is something that most carriers struggle with, even for first class. 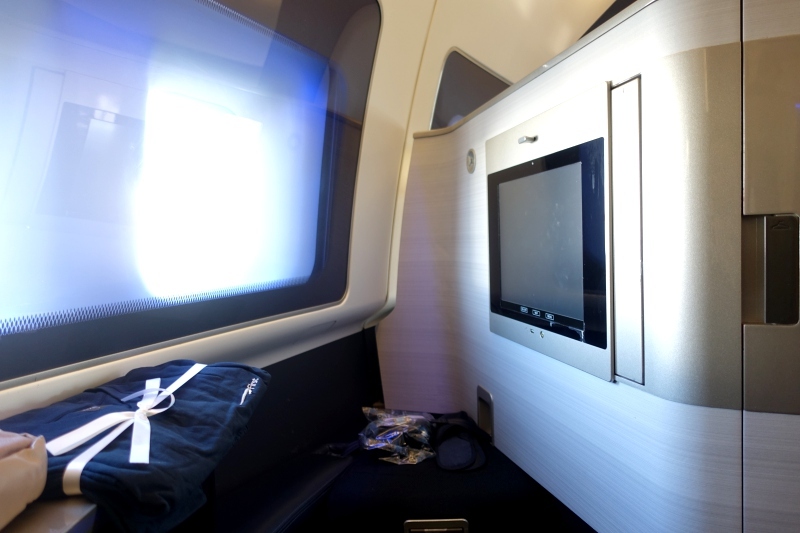 If you've flown British Airways First Class recently, what was your experience?